(EXPRESS FILE PHOTO) Central Mountain coach Biff Walizer instructs an athlete during a high school wrestling match. ALTOONA — One week after taking the initial step toward qualifying for the PIAA Class AAA State wrestling championships, the Bellefonte Red Raiders and Central Mountain Wildcats will return to the Altoona High School field house this weekend for step two as they participate in the Northwest Regional Championship Tournament. The Wildcats will send 11 representative to the regional tournament after they captured the team title in last week’s district affair. The ‘Cats will feature a pair of district champions in freshman Taylor Weaver (113) and sophomore Lane Porter (145), while CM runners-up hoping to take the next step to Hershey with a top three finish in the regional tournament are Cody Coleman (138), Alonzo Henry (152), Tanner Riggle (195) and Nikolas Miller (220). Rounding out the Wildcat advancers by finishing third or fourth in the district tourney are Derek Keen (third at 106), Johnny Shreffler (third at 120), Kayden Busey (fourth at 132), Gage Sutliff (fourth at 182) and Jacob Edwards (fourth at 285). Bellefonte will also take a strong contingent to the regional event as the Red Raiders qualified ten wrestlers for this weekend’s event after finishing second to the Wildcats in the district team race. 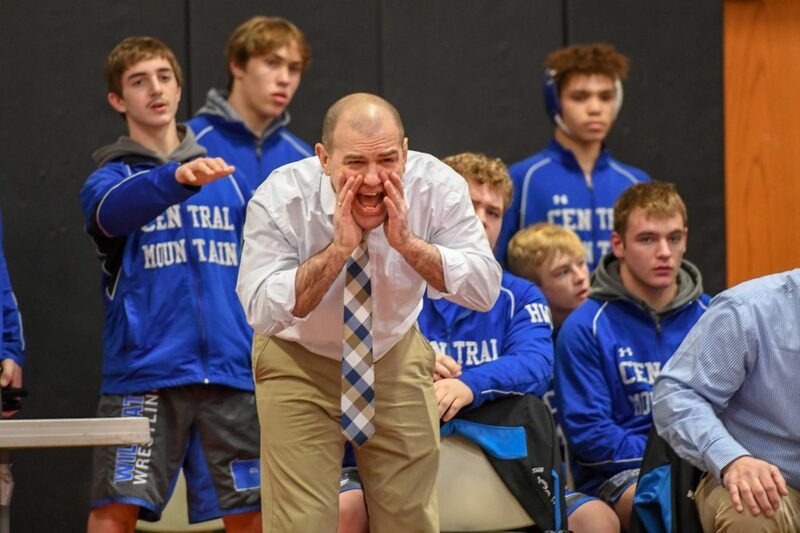 Central Mountain won the team title with 211 points and its 11 regional qualifiers, while the Raiders finished with 187 points on the strength of their fourth individual titlists and 10 qualifiers. 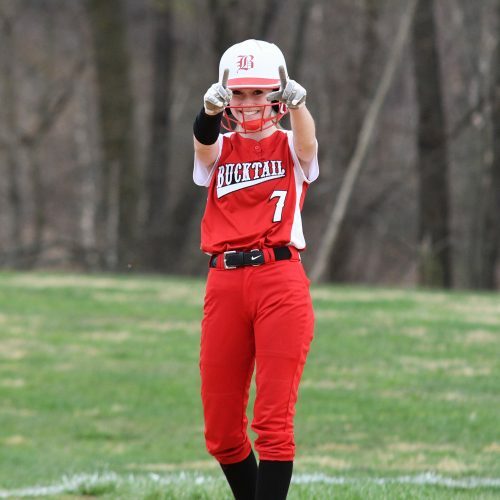 Four of Bellefonte’s regional qualifiers enter the tournament as District VI titlists. Those four are Ryan Smith (132), Cole Stewart (138), Ethan Richner (152) and Kyle Myers (170). The remaining half dozen Red Raiders qualifiers are Aaron Little (fourth at 113), Lane Aikey (second at 120), Alex Coppolo (fourth at 126), Logan Simpson (fourth at 160), Ethan Rossman (runner-up at 182) and Max Barrier (third at 220). The Wildcats finished third in the recent PIAA Team Duals tournament behind Mifflin County and Bellefonte. 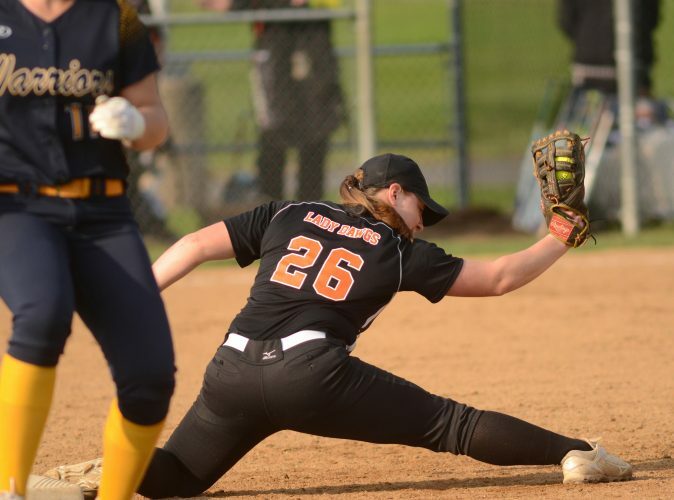 However in the individual tournament, the Wildcat balance was more than up to the task as they finished ahead of both the Red Raiders and Huskies for the district crown. The title for Weaver was the first by a Wildcat freshman since they had two freshmen champions in 2007 when Jordan Rich and Dylan Alton stood on the top of the district podium. The last time Central Mountain had multiple champs at the district level was in 2015 when Hunter Weaver, Keanan Bottorf and Demetri Probst took district titles. Weaver is the older brother of Wildcat freshman Taylor Weaver.